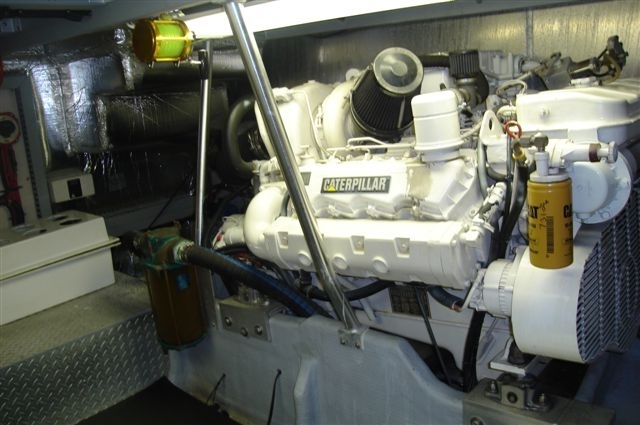 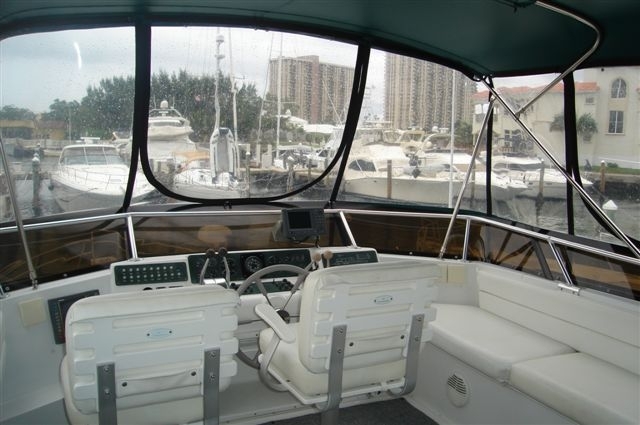 The Mainship 47 Motor Yacht is a 2 stateroom/2 head flush deck setup that features a large, uncluttered flybridge with plenty of seating and storage, and wide molded fiberglass steps offer safety and comfort. 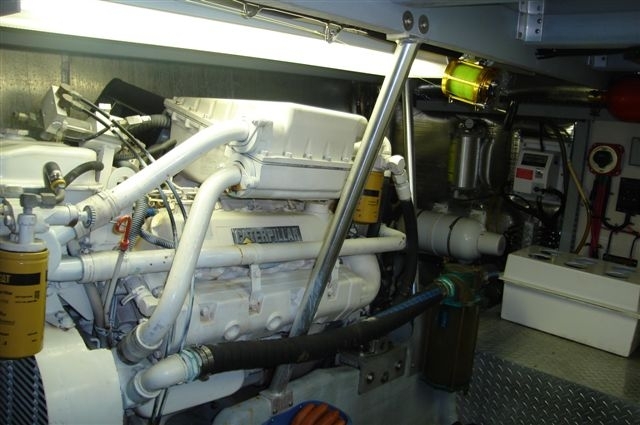 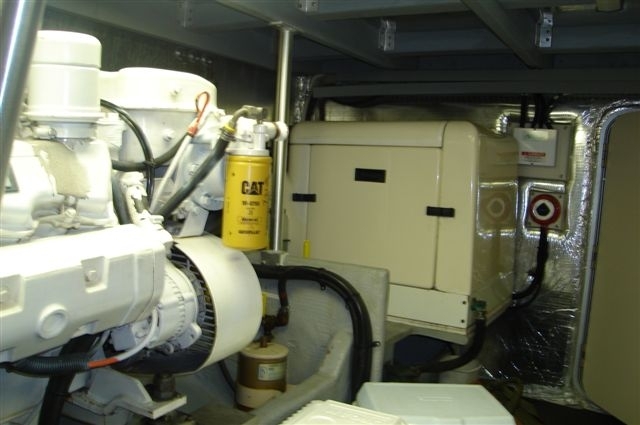 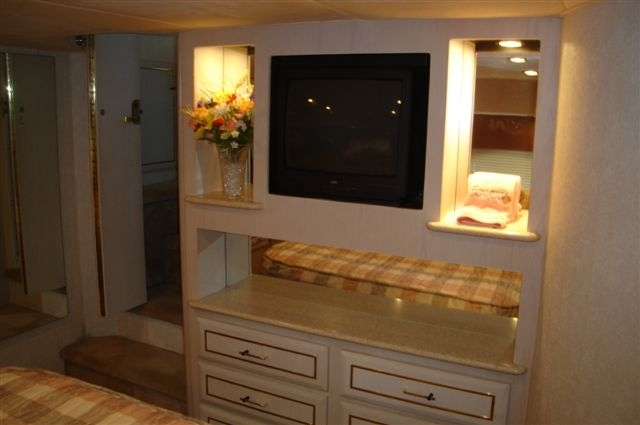 Below, a spacious salon, workable galley, easy to maintain heads and truly comfortable staterooms are incorporated to provide good flow and the most usable space afloat. 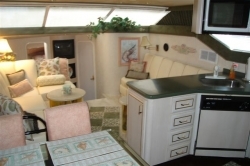 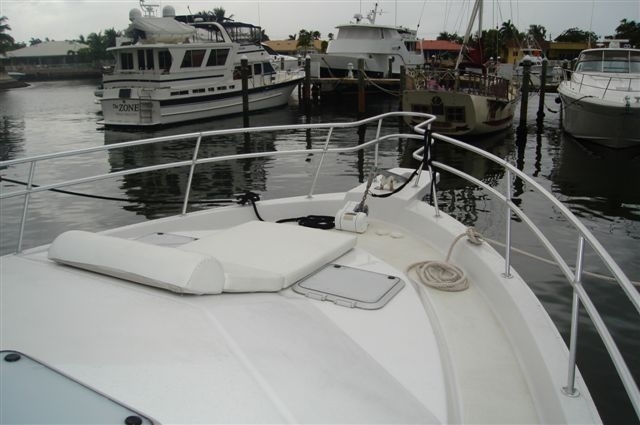 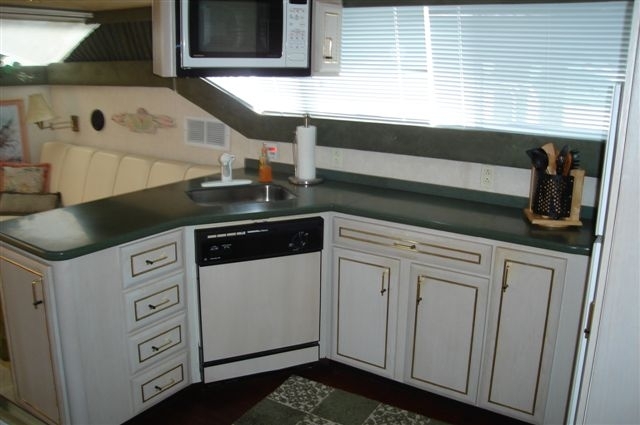 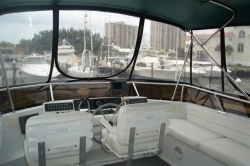 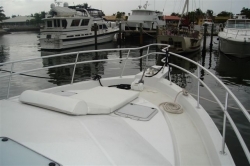 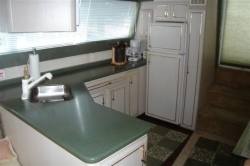 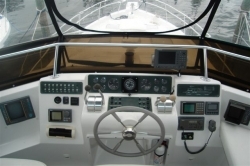 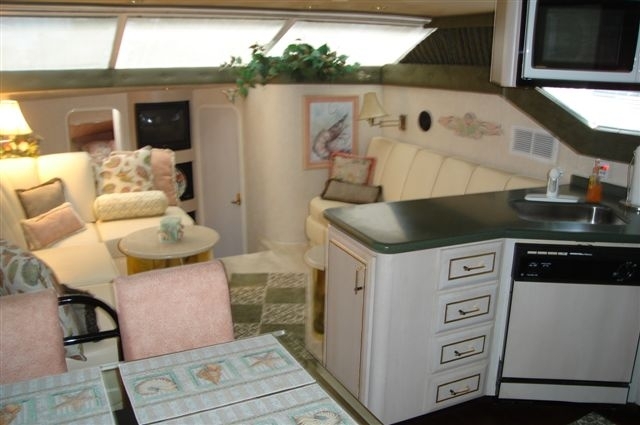 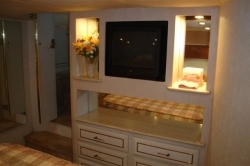 Hardtop covered aft deck with wet bar, cabinets, seating. 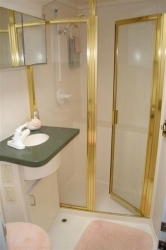 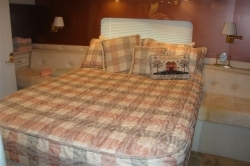 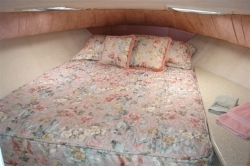 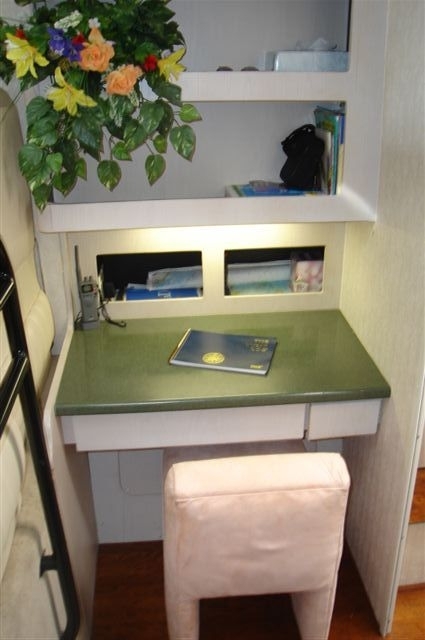 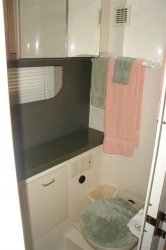 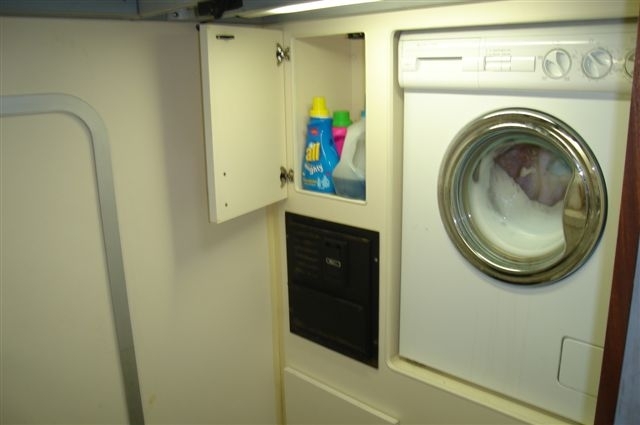 Centerline queen berth, locker and ensuite head. Galley up and table with seating for 4. Blender and GE dishwasher. Solid surface counter tops. 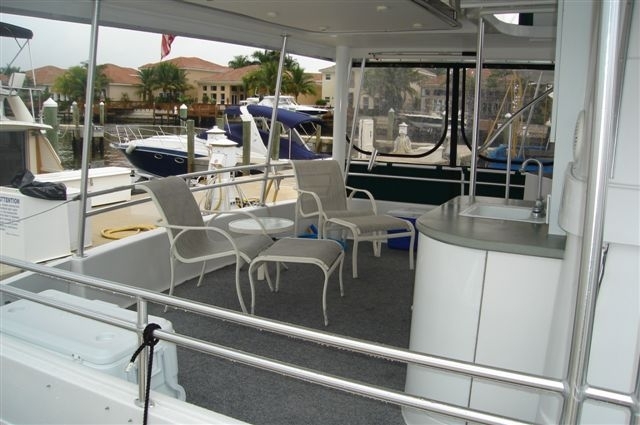 Full enclosure bridge and aft deck. 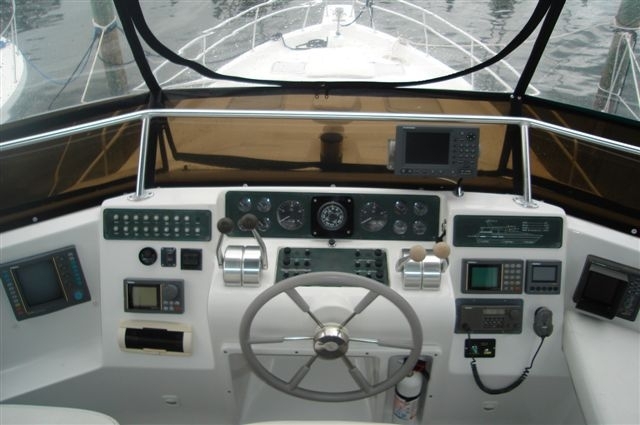 Radar arch on bridge, Raritan icemaker on aft deck.